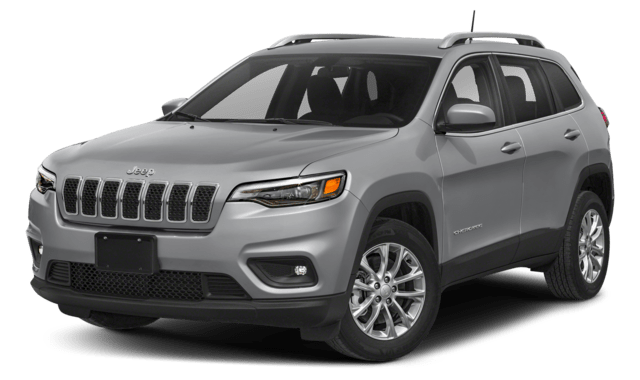 If you’re looking for a family-friendly, five-seat SUV with a powerful performance and plenty of interior features, then compare the 2019 Jeep Cherokee vs. 2019 Jeep Grand Cherokee to find the one that’s right for you and your Swanzey commute. Explore the differences in features, pricing, and capabilities below to find the new Jeep you need. Compare the new Jeep Cherokee vs. Jeep Grand Cherokee below to help you make your decision. Jeep Cherokee: The Cherokee comes with a standard 180-hp 2.4L 4-cylinder, an optional 270-hp 2.0L turbo 4-cylinder, or a 271-hp 3.2L V6. Each of these options is paired with a 9-speed automatic transmission. The towing capabilities range from 3,500 to 7,200 pounds depending on the engine choice. 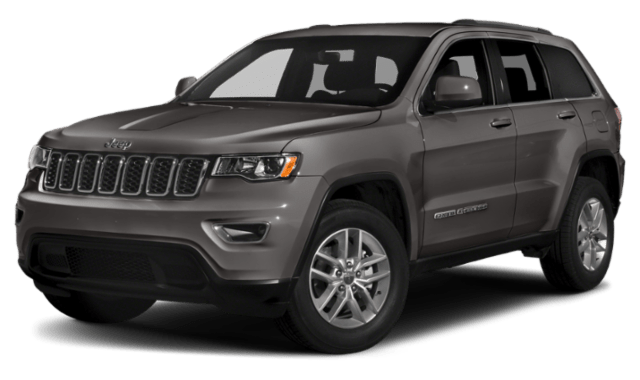 Jeep Grand Cherokee: The Grand Cherokee has a 295-hp 3.6L V6 base engine and offers four more powerful options including the optional 240-hp 3.0L V6, 360-hp 5.7L V8, 475-hp 6.4L V8, and a 707-hp 6.2L V8. Each is paired with a standard 8-speed automatic transmission. As far as towing capabilities, the range is the same as the Cherokee. While front-wheel drive is standard on both the new Grand Cherokee and Cherokee, you can switch to a four-wheel drive system such as Jeep Active Drive I. The prices and trims of these Jeep models differ quite a bit. Browse your options and choose the one you like best. The 2019 Jeep Cherokee has a starting MSRP of $24,195 and offers seven trims: Latitude, Latitude Plus, Altitude, Limited, Trailhawk®, Trailhawk® Elite (4WD only), and Overland. The 2019 Jeep Grand Cherokee starts at $31,695 and comes in different configurations including Laredo, Laredo E, Upland, Altitude, Limited, Limited X, Trailhawk®, Overland, High Altitude, Summit, SRT®, and Trailhawk®. Both the Jeep Cherokee interior and Jeep Grand Cherokee interior are similar. Both SUVs include standard features such as Uconnect with a 7-inch touchscreen, Apple CarPlay/Android Auto, a 6-speaker sound system, and a 60/40-split-folding rear seat. The main difference is that the Grand Cherokee offers more space. In the Grand Cherokee, you’ll have 68.3 cubic feet while the Cherokee offers 54.9 cubic feet. Find the new Cherokee or Grand Cherokee for sale near you at Keene Chrysler Dodge Jeep Ram and take it for a test drive around Brattleboro. Learn more about these models, browse our current offers, and contact us with any questions.